When children learn, they later earn! A single year of primary school increases wages earned later by five to 15 per cent for boys and even more for girls. For each additional year of secondary school, an individual’s wages increase by 15 to 25 per cent. No country has ever achieved continuous and rapid economic growth without first having at least 40 per cent of its adults able to read and write. A child born to a literate mother is 50 per cent more likely to survive pass the age of five. 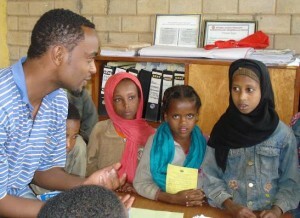 Girls in class in Ethiopia. When people have basic life and literacy skills, economies grow more quickly and poverty rates decline. Children who have the opportunity to learn are able to eventually earn more money and support their own families. And, feeding a young mind is literally true. Hunger keeps children out of school and limits their ability to concentrate once there. Conversely, CFTC has seen firsthand that a school breakfast or lunch program will be an important incentive to attract children to attend school. At the blackboard in Ethiopia. The link between the level of primary education attained and a family’s overall level of food security is especially strong for the rural poor. Education allows farmers to make use of new farming techniques and technologies. A World Bank study found that farmers with a minimum of four years of primary education were able to increase their productivity by an average of almost nine per cent. When you feed a child, you make it possible for her to learn. And when you make it possible for her to learn, you make it possible for her to feed herself and her family for years to come. Education quite simply creates sustainable change for children, for families, for communities – for entire countries. Proud of their school supplies! There are still, however, far too many barriers to education for children in impoverished nations, especially for girls. And, even when children do attend school, they often struggle to learn in large class sizes, from untrained and poorly or unpaid teachers and using outdated learning materials. 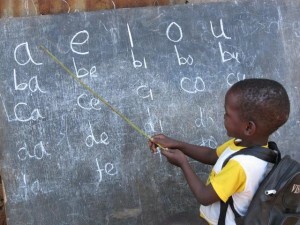 Poor quality education leads to low motivation to stay in school and many children drop out. In sub-Saharan Africa, one in three children who start school does not complete even basic primary school, let alone progress to secondary school. That is why it is so important – and why CFTC and its partners place such great emphasis – on supporting children at every stage of the educational journey. 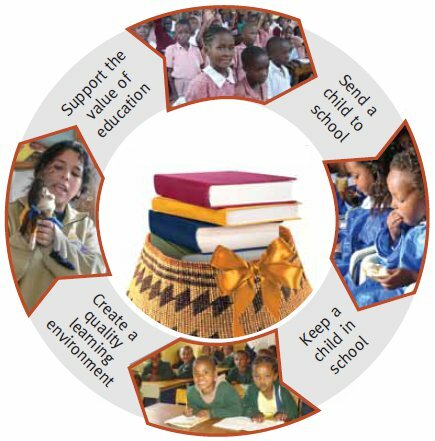 Investing in the cycle of education, pictured below, is one of the most effective ways to break the cycle of poverty. Even simple things – like a school uniform or offering breakfast in schools – can be enough to increase a community’s overall educational retention and graduation rates. Sponsoring a Child and education gifts through the Best.Gift.Ever are just two ways to give children, women and entire communities the gift of education and the tools they need to reach their full potential.